ulshan Ellawela went to England in 2005 to work as an electronic engineer and returned to Sri Lanka as a philatelist so involved with that he has written two books on the subject. Philately remains esoteric to Sri Lankans even today because it is known to many as stamp collecting, a matter of children’s albums. 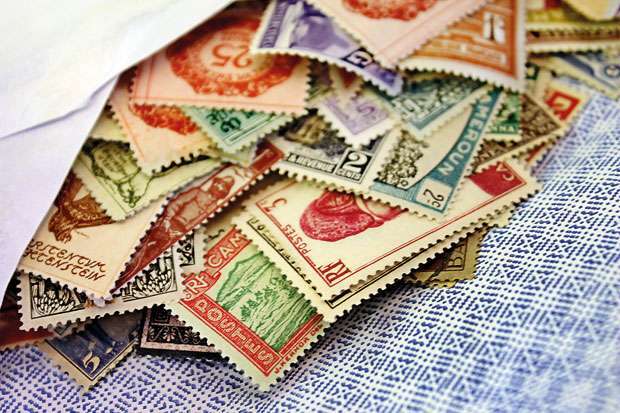 Even adult collectors who indulge in the hobby remain ignorant of philately’s depth and each as a social science. While working as an electronic engineer in London, Dulshan Ellawela began collecting stamps and other philatelic items related to the colonial era (pre-independence Sri Lanka). While studying at Ananda College, Colombo, he began collecting stamps as a schoolboy hobby. As his knowledge of the subject grew, he realised that Victorian Era stamps are hard to find in Sri Lanka and expensive. In London, he began frequenting auctions and was able to buy Victorian Era philatelic items related to Sri Lanka at bargain prices. He discovered the highly valuable ‘Dull Rose’ stamp in one such lot. The Dull Rose is the postage stamp that is considered to be the rarest and most valuable stamp issued in the country. He found out that most of the ‘British Ceylon’ stamps were in the UK, not here. He began buying them as much as he could, with the intention of establishing a Victorian Era philatelic collection in Sri Lanka. Dulshan has first-class honours in engineering. But his hobby seems to take priority over everything else. Ceylon fiscal stamps are his pet research area (Revenue and telegraph stamps of the Queen Victoria era). These include foreign bills, stamp duties, judicial, warehouse warrants, Receipt stamps and telegraphs. There have been dire predictions that philately will die out in a changing world. But Dulshan sees the future differently. Digital technology may replace the postage stamp in the foreseeable future, in the same way, it is used to send parcels in the UK. "He found out that most of the ‘British Ceylon’ stamps were in the UK, not here. He began buying them as much as he could, with the intention of establishing a Victorian Era philatelic collection in Sri Lanka." The process is as follows – the weight is measured, the payment is made online, the bar code is printed and pasted on the parcel, which is then dropped into the depot or courier service; finally, at the sorting office the barcode is scanned and sent to the relevant area for distribution. The same thing can happen with the postage stamp. But that won’t mean the extinction of philatelic science. On the contrary, the adhesive postage stamp would become a sought-after collector’s item, giving the hobby a new boost. He is the author of two books in philately – Ellawela’s Ceylon/Sri Lanka Stamp Catalogue (1857-1948) and The world’s first postage stamps issued in philatelic history. He is also a collector of Victorian memorabilia such as ceramics. The author says that the first and bigger book (Ellawela’s Ceylon/Sri Lanka Stamp Catalogue) is the first book of its kind published in Sri Lanka with correct colour variations, specimen stamps and Gutter Pairs. This book contains stamps from the Queen Victoria era (1857) to King George VI (1948).It contains too, some very rare specimen stamps and Ceylon Gutter pairs, altogether some 635 stamps from 1857 to 1947. The author is offering to conduct free lectures on philately for schools.